Is People's Democratic Party (PDP) unhappy about the arrest of the Hurriyat leaders by National Investigation Agency? Though the party has not publicly dissented with the decision, privately the leaders say that the arrests won’t help the situation and should have been avoided. A taste of this unhappiness was experienced first-hand by the NIA team at Srinagar airport after they formally arrested seven Hurriyat leaders and were flying them to New Delhi. The J&K Police personnel posted there are said to have barred them from taking Hurriyat leaders along after finding out that the agency lacked the necessary paperwork to do so. 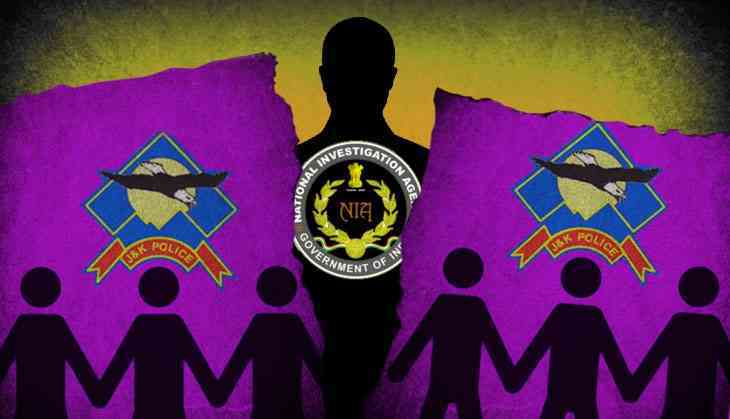 The police, sources said, wanted the NIA to question leaders in Srinagar itself and not shift them to New Delhi because of the apprehended political fallout of the development in the Valley. The standoff lasted for sometime until the ministry of home affairs stepped in and resolved the issue with the state administration. “Somehow, there were efforts that they should be not be taken to New Delhi and be questioned here only. But NIA refused to do so,” said a police officer. He added, however, that NIA too didn’t have an option. “Since they had arrested them formally, they had to produce them before the court in Delhi within 24 hours. So they wouldn’t release them only to again formally re-arrest them," he said. He said that the J&K Police generally is not informed by the NIA about its activities in the state. “Their arrivals in the state are secret. They don’t tell us when they are coming. Nor do they inform us about the arrests they have to make. We learn about the arrests only after they have made them. As per procedure, the agency has to inform the concerned police station of the locality where they have made an arrest,” the officer said. In the case of Shabir Shah, who was arrested by the Enforcement Directorate, the information was shared with the Humhama Police Station which is located outside the airport. However, some sources in the government said, the incident at the airport had more of a political background than a procedural one. "The government (PDP) did not want the Hurriyat leaders flown to New Delhi,” one leader said. A few days after the incident, Chief Minister Mehbooba Mufti has made her disagreement known. Speaking at a conclave organised by the Bureau of Research on Industry and Economic Fundamentals, titled Understanding Kashmir, Mehbooba Mufti said the NIA arrests will not solve any problems. “We have seen so many allegations being made against separatist leaders over the years, but nothing has happened. It's good they’re being held accountable, but this doesn’t help solve the real issues,” she said, adding that talks with all stakeholders was necessary. “Just giving precedence to law and order won’t help resolve long standing issues,” she said. Some PDP leaders are sore about the fact that the arrests may have killed off the hope of an internal political outreach in the Valley, confining the efforts to address the current turmoil exclusively to the use of force. The PDP’s problem is also that so far, the Centre’s actions in the state have subsumed the party’s politics and the agenda to that of the BJP. The dialogue with the separatists was one of the major understandings in the Agenda of Alliance between the parties that had lent a modicum of justification to the coalition. But far from engaging Hurriyat, the BJP has chosen to go after them, something that the PDP has found hard to reconcile and explain in Kashmir. Among the Kashmir observers, there is also the apprehension that the action against Hurriyat leaders and the attempt to delegitimise them will create an unhelpful vacuum in separatist politics which will be filled in by the hardliners in militant ranks and the protesters on the streets. So far, the NIA has made no differentiation in its action against the separatist leaders. Both hardliners and moderates have been equally targeted. Shabir Shah, who has a moderate reputation, has also been booked. Talking to Catch, moderate Hurriyat chairman Mirwaiz Umar Farooq said that the Hurriyat leaders had been arrested on trumped up charges. “I have been under house arrest for the past 40 days. They are trying to make it tough for us. But we will fight it out,” Mirwaiz said. JKLF supremo Yasin Malik was arrested on 21 July and shifted to Central Jail Srinagar. His remand has now been extended till 5 August. Syed Ali Geelani has been mostly under house arrest since 2010. “With the BJP gearing up for 2019 national election, the dialogue with separatists is an undertaking whose time is over,” says local columnist Naseer Ahmad. “But by acting harshly against Hurriyat over charges which previous governments have dealt with differently, the Centre has indicated it will persist with a linear, security centric approach to Kashmir, irrespective of its detrimental fallout”.